Last year we enclosed our back patio and created a home library. Every morning I feel blessed by having a space that inspires me to teach, learn, read, and discover. There is just something about being surrounded by books that makes my heart happy. 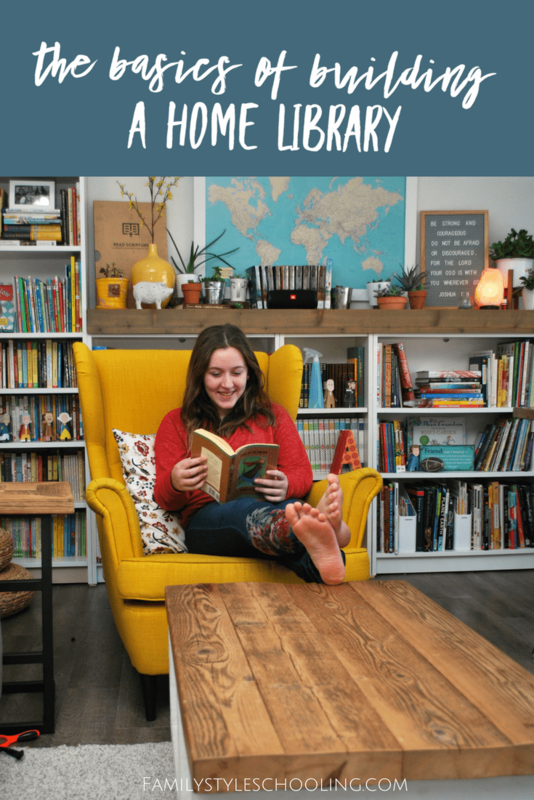 I know everyone doesn't have the same space options or back patio to convert, but I do believe anyone can build a home library and experience the blessings of cultivating a literary culture in your home. It's like filling the pantry with good food to feed hungry young readers. I've spent the last twenty years compiling my library, so don't expect to have a massive collection overnight. Start gathering small. 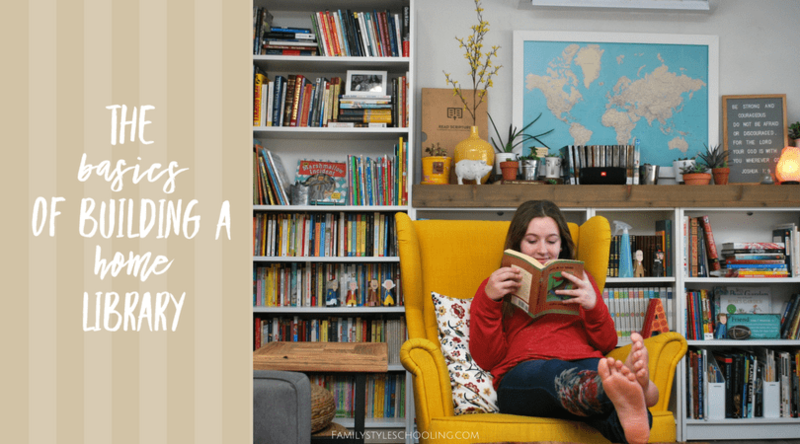 You just have to keep your eyes open for finding great deals on good books and you'll be surprised at how quickly your little library starts to grow. Garage sales are great places to look. I got the entire Box Car Children series for $7 at a garage sale. That was a good day! Used Book Stores/Thrift Stores are also another great place to look for treasures. We love Half Price Books, and particularly their clearance sale where everything is $2 or less. I've scoured the rows of books for hours and come home with tons of books for a great price. Ebay - Sometimes you might want a special series or set of books that you just can't find anywhere else. 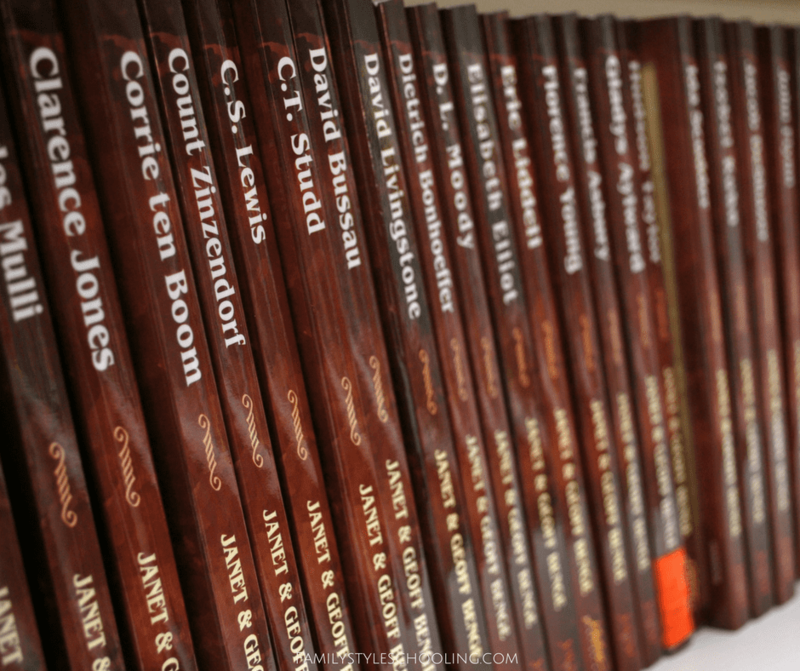 My husband and I bought the Great Books of the Western World series on Ebay this Christmas, and it was a huge savings from the price to purchase them new. What Kinds Of Books Do You Want? Non-fiction books by trusted publishers like Usborne, Kingfisher, or DK. They always produce incredible resources and provide interesting information for young researchers. 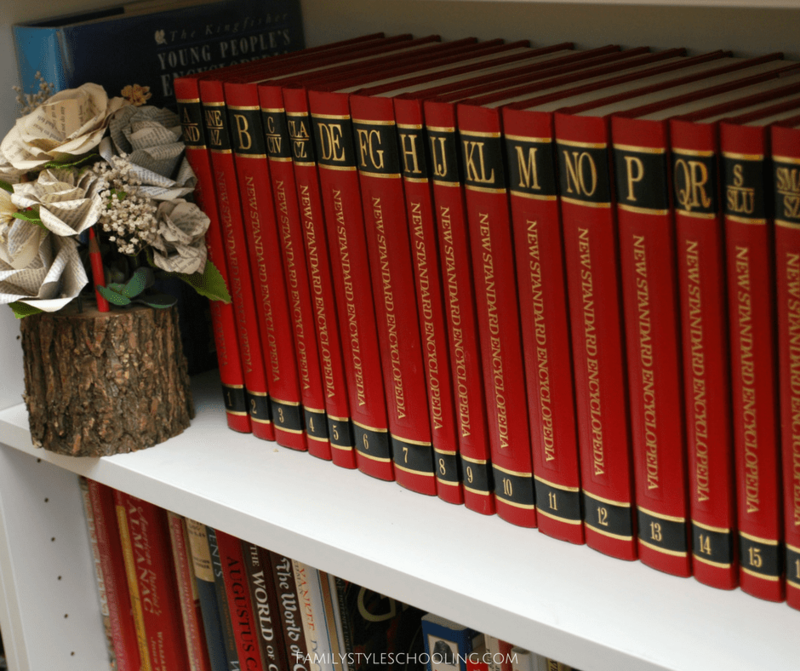 Encyclopedia set - I know these things seem totally out of date, and there are many electronic encyclopedias out there to access, but we use this crazy old encyclopedia set all. the. time. We bought it when our oldest was like six months old...I'm not sure what we were thinking, but I've got my money's worth out of it. I'm sure you could find one used and spend less than I did! You can really never outgrow quality children's literature. 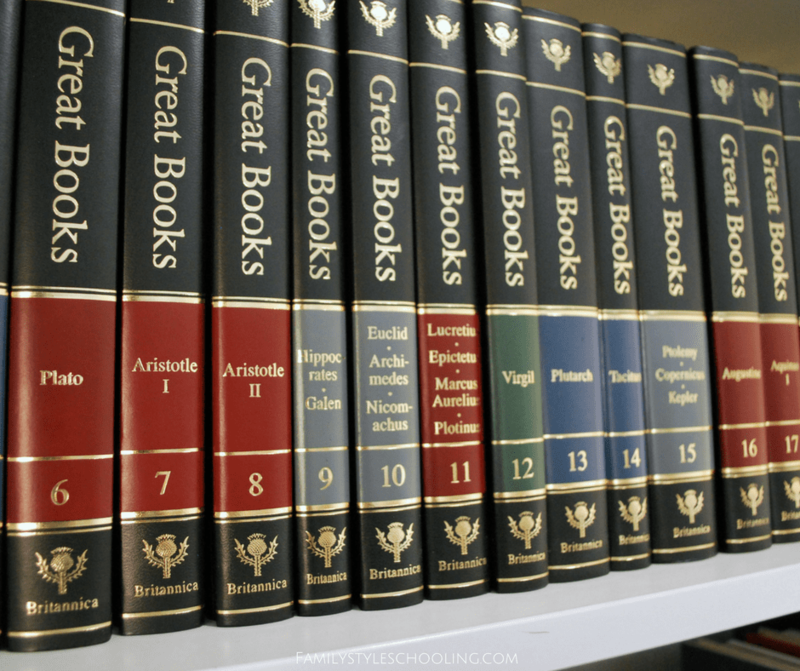 These are some of the easiest books to find. I love to read them myself! Books for your littles are treasures for a lifetime. You can always recycle them as your children get older for writing lessons. 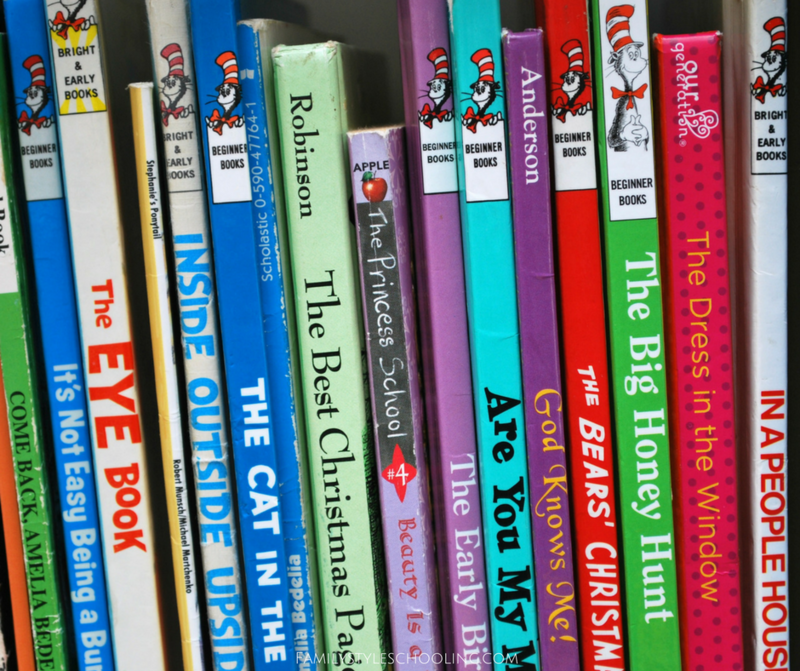 You can't go wrong with Dr. Seuss! I love having a sufficient supply of fun reads for my middle-grade readers (and me). These are probably the easiest to find. I like to find authors that my kids enjoy and then look for other books that are written by the same author. Gail Carson Levine is one of our favoirtes, as well as Beverly Cleary and Patricia MacLachlan. 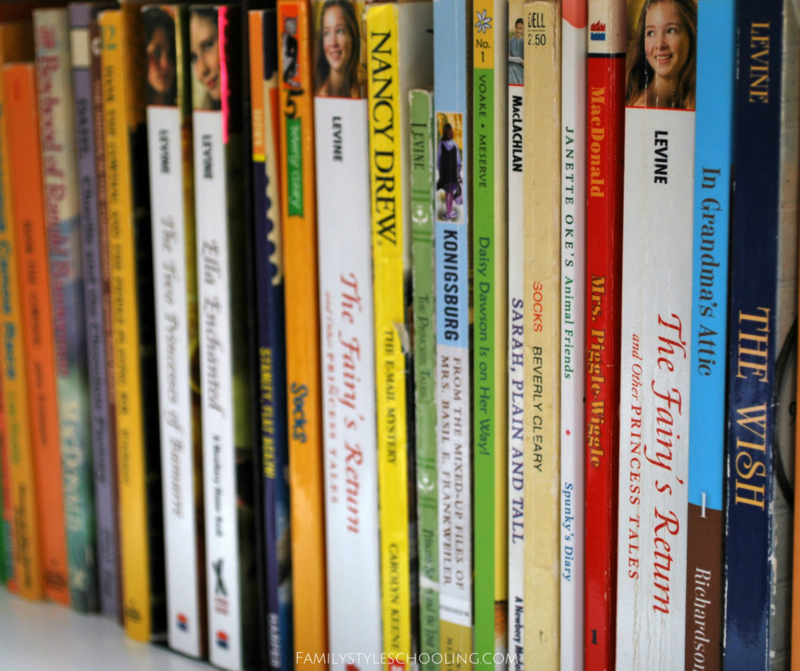 You can also look for compilations like the My Book House series that contain thousands of treasures but don't take up quite as much shelf space. Another one of my favorite categories is missionary biographies. I love the YWAM books, and my mother has read all of them at least once, but many of them twice. I love to pick these up at the homeschool conferences - they're on sale for $5 per book. The stories are truly inspirational, and I believe they are one of the best literary investments in my entire library. You can really build an excellent home library over time if you just patiently seek out great deals. In the mean time, check out books you're potentially interested in at the local library. If you love them, put them on your wish list to buy. If they don't fit into the vision (or in your space), enjoy the fact that you just borrowed the book and you can take it back! You can really never have too many books! 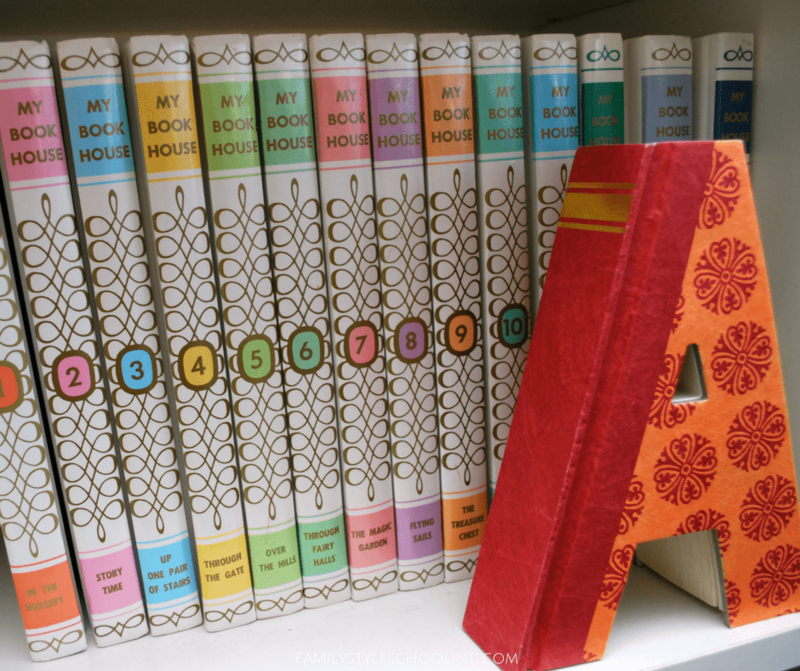 Want to know what's on my bookshelves? Check Out Our Read Aloud History...some great options there!